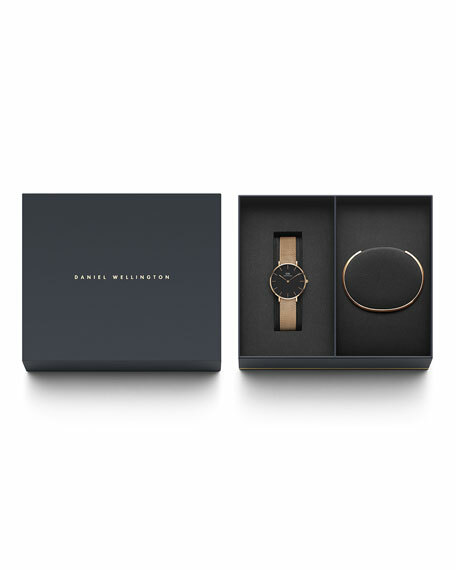 Daniel Wellington "Petite Melrose" watch set. Rose-golden plating over stainless steel. Includes bracelet and bangle straps, 14mm. Arrives packaged in gift box.